This colourful image shows a part of the Rosette Nebula in the constellation of Monoceros (The Unicorn). 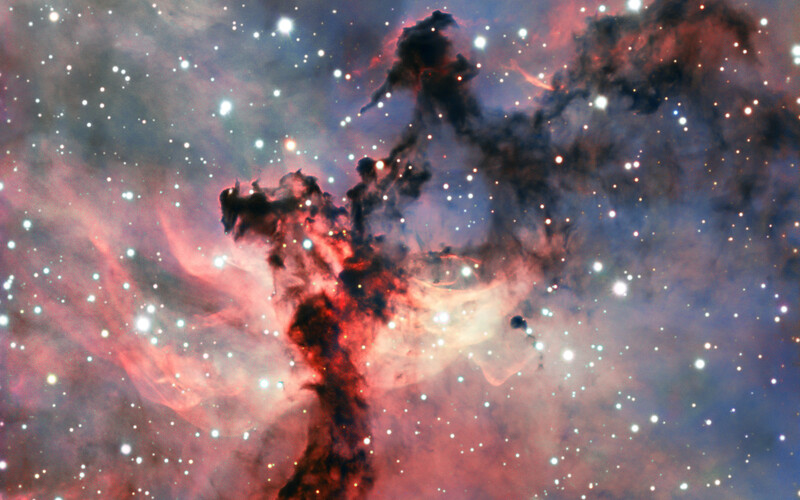 It is an emission nebula, composed of clouds of gas that are made to glow by the radiation emanating from stars within. The Rosette Nebula is a fairly typical example of an emission nebula — but typical does not mean boring! Nebulae are some of the most beautiful celestial objects out there, and they frequently show up spectacularly in images taken by astronomical telescopes, as seen here. 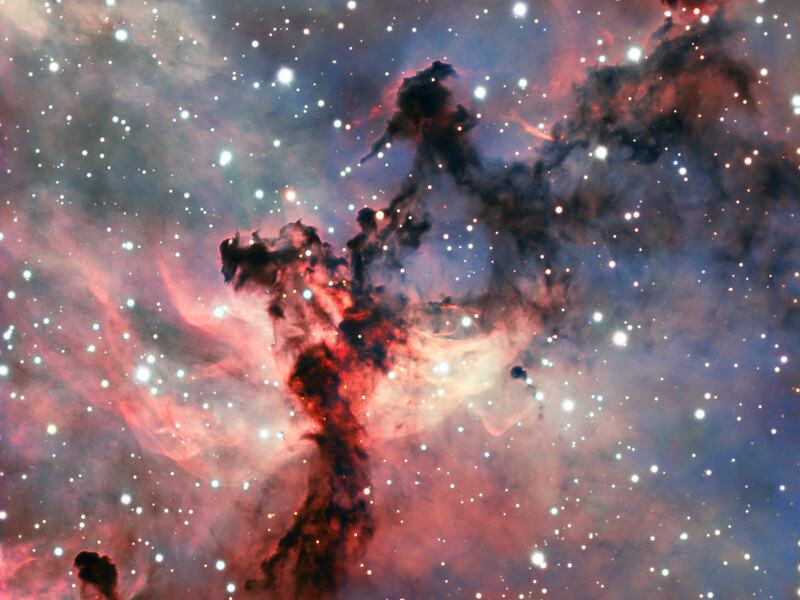 In nebulae such as this, gas and dust are combining to produce a new generation of stars. 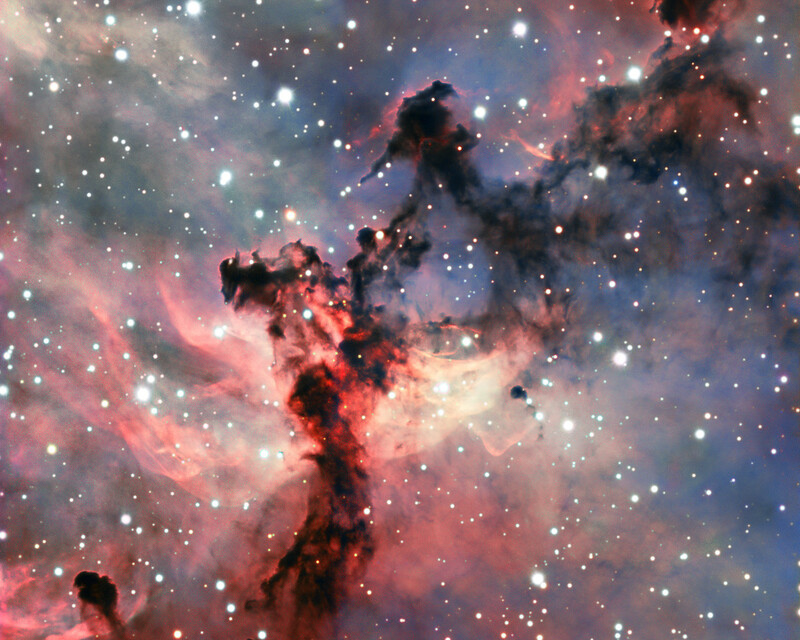 Initially these newly-formed stars are shrouded in the dusty clouds that gave them birth, and cannot be seen in visible light. But after a while they blow away the denser material and their powerful radiation pours out to ionise the surrounding gas, causing it to glow brightly. These elements are all present in this image — the mixture of glowing gas and dark dust has been sculpted into complex patterns on the sky by the stellar radiation, like smoke around a fire. 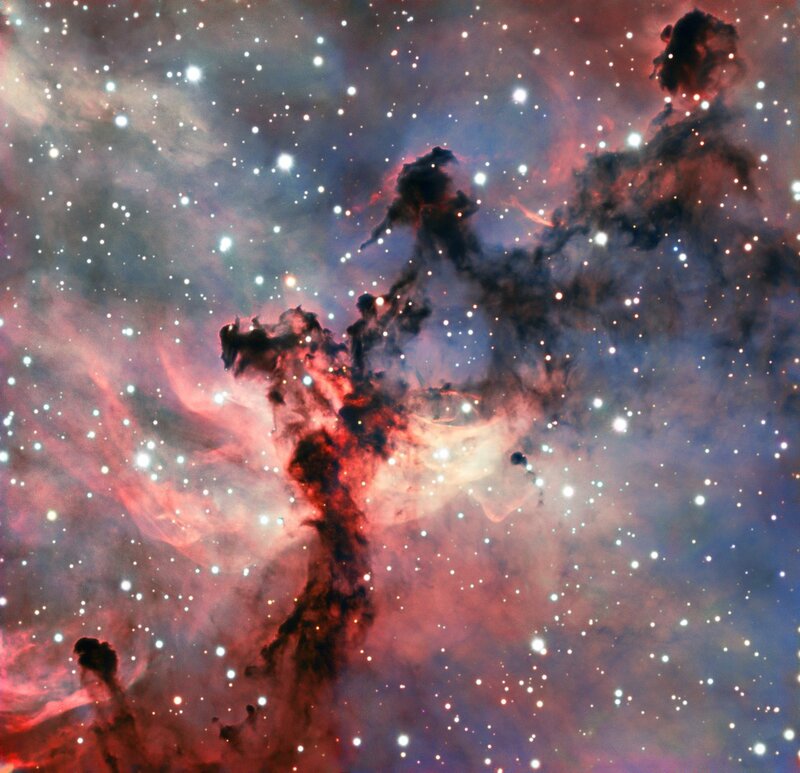 This particular image was obtained with the FORS 2 instrument on ESO’s Very Large Telescope, sited in the harsh environment of Chile’s Atacama Desert. FORS 2 is an extremely versatile instrument that can produce very high-quality images (like this one!). It is also a spectrograph that can split the light it collects into a rainbow of colours, giving astronomers information about the chemical composition of objects across the Universe.